"The Qashqai is not offered in North American markets. Instead, Nissan offers the Nissan Rogue. Although larger and appearing to be a completely different model it is based on the same basic platform as the Qashqai / Xtrail with some visual similarities. Some guys from Severn Valley Motorsports in the UK decided to put a full R35 GT-R drivetrain and engine under a Qashqai ala Nissan Juke-R. 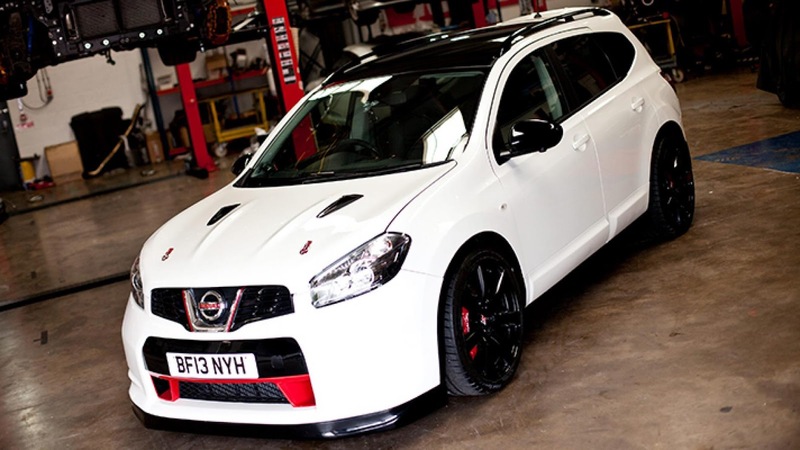 In this video this "slightly modified" Qashqai hits a VMax of 222 mph, passing a 950 hp R35 GT-R at over 200 mph.